The 29th March, the date scheduled for the UK’s departure from the EU, is now fast approaching. But there is considerable uncertainty over the exact form Brexit will take on that date, or even if it will happen at all. In early January, for example, JP Morgan concluded there was only a 45% probability of Brexit in March with a deal close to the one that has been negotiated between the EU and UK government. However, so far the negotiated agreement has fallen well short of a majority in UK parliament. JP Morgan also suggested a 25% probability of a second referendum on EU membership, a 15% probability of a general election, a 10% probability of an extension of “article 50” (the EU procedure by which the UK is leaving the EU) into the second half of the year, and a 5% chance of a disorderly no deal Brexit. JP Morgan’s assessment is a couple of weeks old, and already by the end of January the equation has shifted. The UK political process is in stalemate while there is little sign that the EU will budge to make the negotiated deal more palatable to UK parliament. The chances of the deal being agreed have diminished while the chances are rising both for a disorderly ‘no deal’ and for the scenarios leading either to a delay or even a reversal of Brexit. The political and economic situation in the UK is balanced on a knife edge. If there is a lack of progress during February and it looks like a “no-deal” UK exit from the EU is becoming even more likely, the negative impact on the economy will be magnified. Alternatively, if it looks ever more likely that a “no-deal” exit will be averted, some of the uncertainty may ease, although it is unlikely to disappear completely until it is absolutely guaranteed there will be a deal. As in other sectors, the politics of Brexit creates a significant headache for the hardwood trade. However, unlike other more fast-moving industries, the hardwood sector has not been able to do much to mitigate the commercial risks, only to sit it out and wait and see. 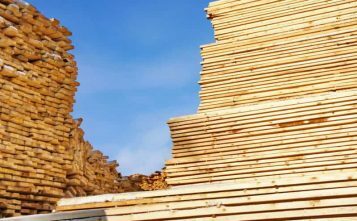 According to the TTJ, the softwood industry in the UK has been building up landed stock to pre-empt anticipated customs and port disruption after 29th March. 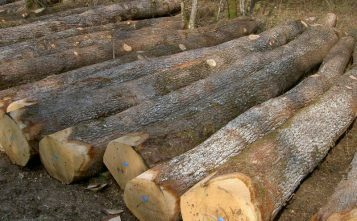 But this has not happened in the hardwood sector due to lengthy lead times and concerns about fluctuations in the sterling exchange rate, which could go either way depending on the outcome of negotiations. Brexit uncertainty led sterling to weaken sharply against other major currencies at the end of last year. Hardwood importers are reluctant to build stock now as they are concerned that, if a deal is agreed, sterling could regain ground, leaving them sitting on a lot of over-valued stock. Of course, events might go the other way, and a short-term effect of a no deal Brexit could be a further fall in the value of sterling. But how far and how fast sterling might fall is unknown as the extent to which markets have already factored in the likelihood of a no deal is not clear. The immediate effect of all this uncertainty is to increase the tendency for UK hardwood importers to buy little and often. While trade remains quite steady, there is no sign of growth in the UK market at present. And as the chances of a ‘no deal’ Brexit have risen, there’s increasing interest in, and speculation about, what the effects of this outcome would be on the hardwood trade. From a policy perspective, in theory a ‘no deal’ Brexit would "level the playing field" for UK direct imports of hardwoods from the tropics and other non-EU countries relative to imports from the EU. Last year, as part of efforts to limit the potential fallout, the UK government issued a series of guidance notes on the implications of a possible no-deal outcome for business. The guidance states that a no deal Brexit would result in "businesses having to apply the same customs and excise rules to goods moving between the UK and the EU as currently apply in cases where goods move between the UK and a country outside of the EU". A ‘no deal’ Brexit would have little or no immediate impact on UK tariffs imposed on imports from EU countries of mouldings (HS 4409) and rough sawn products since these are already duty free for all EU imports regardless of their species or source. 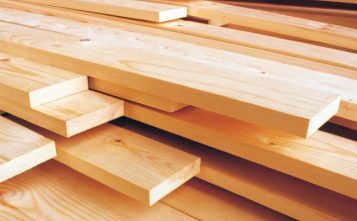 However, in a ‘no-deal’ scenario, UK imports of some planed and sanded hardwood products from the EU would become subject to a 2.5% import tariff. Depending on species and degree of working, a variety of tariffs would also be imposed on UK imports from the EU of veneers (3% to 6%), plywood (7% to 10%), MDF and particleboard (7%-10%), and joinery products (3% to 6%). 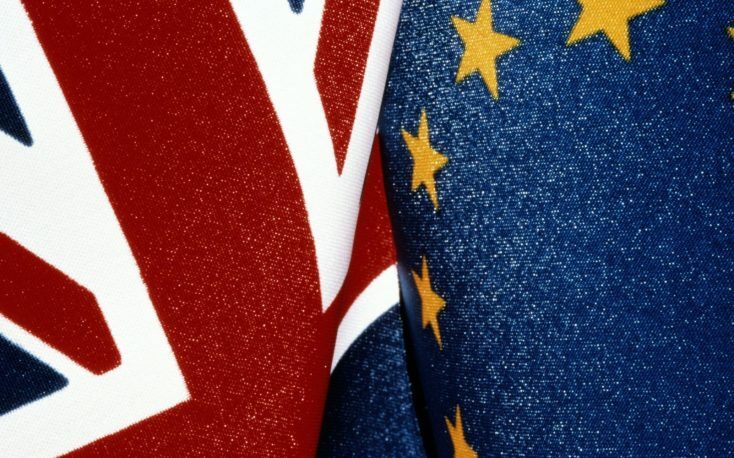 While the EUTR would cease to apply in the UK in a’ nodeal’ scenario, the law will be replaced with a UK law imposing equivalent due diligence requirements to demonstrate wood is legally harvested. This will apply to all timber placed on the UK market. This means imports of hardwood from the EU into the UK would, like imports from the tropics, be subject to due diligence requirements. Similarly, in the event of a’ no deal’, all wood packing material moving between the EU and the UK would need to be ISPM15 compliant (treated and marked), as is currently required for imports from non-EU countries. Imports of timber into the UK from the EU would also be subject to phytosanitary regulation in the same way as imports from non-EU countries. However, UK government guidance states that "to deliver a smooth transition when we leave the EU, in a ‘no deal’ scenario the Government has decided that the majority of plants and plant products are low-risk and should continue to enter the UK from the EU freely, as they do now". Of course, in the event of a no-deal scenario, these changes in the tariff and regulatory environment which might benefit non-EU suppliers of hardwood products into the UK, may well be overshadowed and offset by the wider economic impacts. According to an analysis by the Bank of England last year, in the event of a no deal, UK GDP in five-year’s time may be up to 8% smaller compared to forecasts in which a deal is assumed. Similarly, the IMF estimates that Britain could lose about 5% of GDP in 5 years in the event of ‘no deal’, while the Netherlands, Denmark and Belgium, which have strong trade links with the UK, could see GDP losses of 1% or more, and Ireland’s economy would stand to lose 4% over the same period. These are worst-case scenarios for a so-called “disorderly no deal” and still seem unlikely, although the chances are rising with every day that the UK parliament resists accepting the deal on the table. It's possible that there will be a Brexit deal, or a delay, or a referendum, or an election, all with unknown outcomes. As things stand, it is simply impossible to predict how the UK, or indeed the wider EU hardwood market, will evolve this year.